This month we would like to congratulate the Laurel Bit and Bridle 4-H Club for being awarded the Nebraska 4-H Club of the Month for March 2017. This 4-H Club from Laurel, NE in Cedar County has truly made a difference in their community. The club is very dedicated to building strong citizenship and teamwork through various community service activities. The Laurel Bit and Bridle 4-H Club has 43 members and continued its club learning experiences through the community by making first aid kits at their February meeting. Working with the 3 Laurel EMTs, members learned about CPR and first aid at the meeting and then went on to create first aid kits. EMT Melissa Graham took members onto one of the Laurel ambulances and showed them around the ambulance and discussed what information they would need to tell the 911 operator in an emergency. They also discussed what to do if an adult tooth was knocked out, and what to do in case they or someone they knew came in contact with poisons. EMT Jodi Thompson showed 4-Hers how to do CPR and had them practice proper chest compressions and informed them how to treat burns, bites and stings and how to care for someone that is suffering from heat exhaustion. 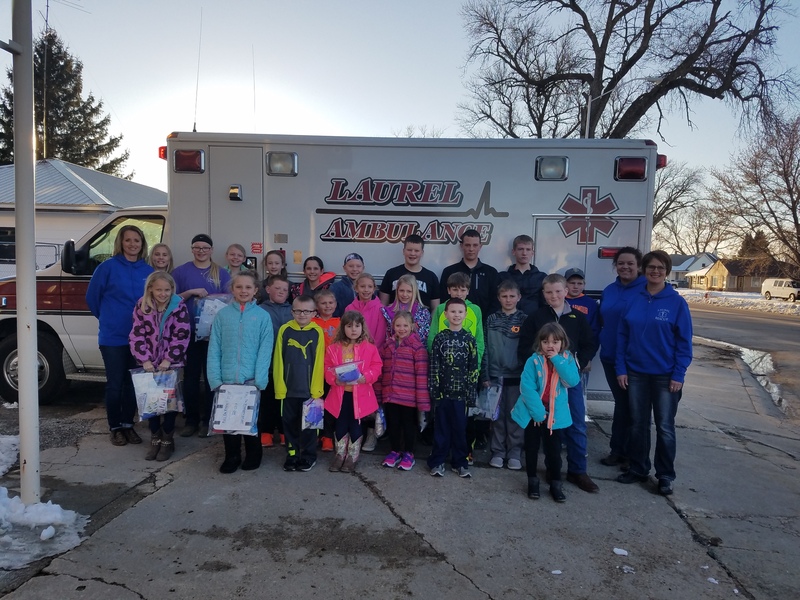 EMT Steph Urwiler talked to 4-Hers about fractures and what they could do if they ever had a situation where someone had broken an arm or leg. She reviewed treatment for bleeding and shock and talked to members about items in the first aid kit and the purpose of each item. The Laurel Bit and Bridle 4-H Club decided to cover the cost of supplies for the first aid kits so that each member would have a first aid kit that they could have on hand. 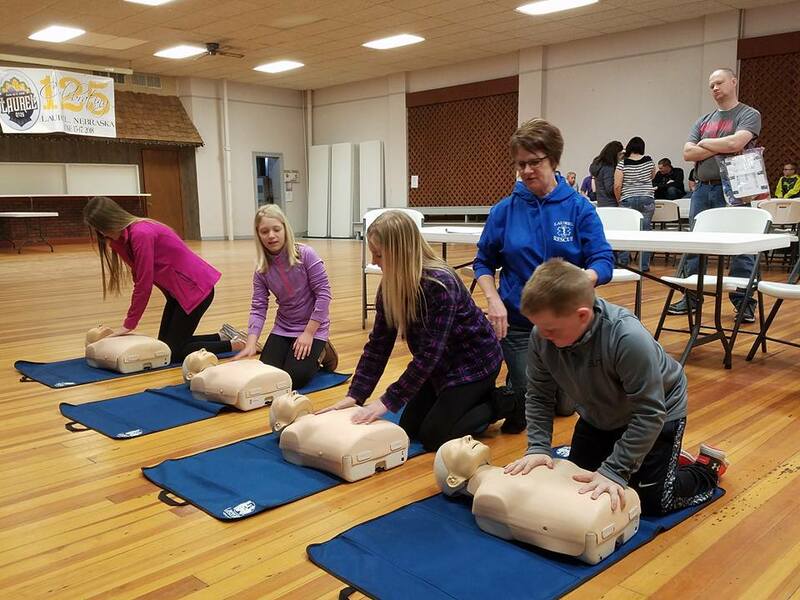 After entering their first aid kit in the fair, members plan to keep the kit in their vehicle that goes to 4-H activities so that it would be available to use if anything ever happened at club meetings, horse practices or the County Fair. No Comments to "March 2017 Club of the Month"